One of the most beautiful pepper plants around. When you hear Black Pearl, it’s easy for your imagination to run wild: from the infamous treasure-seeking ship in the Pirates of the Caribbean movies to rare jewels that widen the eyes of all that see them. And so it goes with the Black Pearl pepper. It’s a jewel. 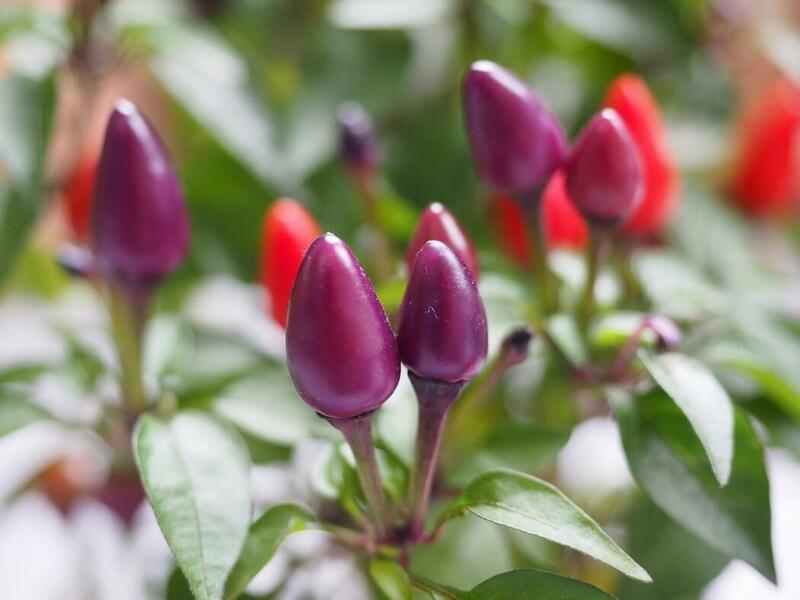 This is a stunning ornamental pepper plant – seriously one of the most beautiful plants of any kind on the planet – and its chilies contain a surprising pop of heat. What do Black Pearl peppers look like? 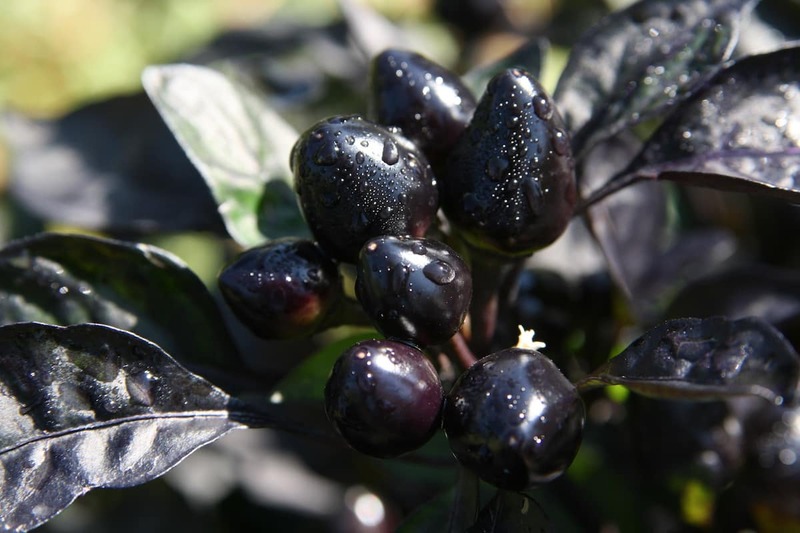 Few plants can claim as much beauty as the Black Pearl pepper plant. It’s like something out of a children’s fantasy, ethereal and unexpected. It looks like it should be part of the other-worldly scenery of Snow White or Alice in Wonderland. It’s so beautiful that All America Selections (AAS) awarded it for its beauty in 2006. The leaves range from a deep purple to an onyx black in hue, and the plant blooms beautiful purple flowers. The peppers themselves are tiny, closer to chiltepin or pequin peppers in size than a typical long pepper. Unripened Black Pearls take on a similar onyx black color, and as they age they turn shades to a sultry crimson red. There’s no other way to say it – this is a stunning plant. No wonder it’s such a favorite for ornamental landscaping. Can you eat Black Pearl peppers? Don’t let the term “ornamental” fool you in this case, these are edible hot peppers, just like any jalapeño or cayenne. It’s just that they’re so stunning that many people grow them to enjoy with their eyes and not with their mouths. We happen to think it should be both. How hot are Black Pearl peppers? These chilies tip the Scoville scale at about 10,000 to 30,000 Scoville heat units. The unripened onyx black to deep purple chilies tend to be at the lower end of that scale, while the ripened crimson red peppers spike the needle. 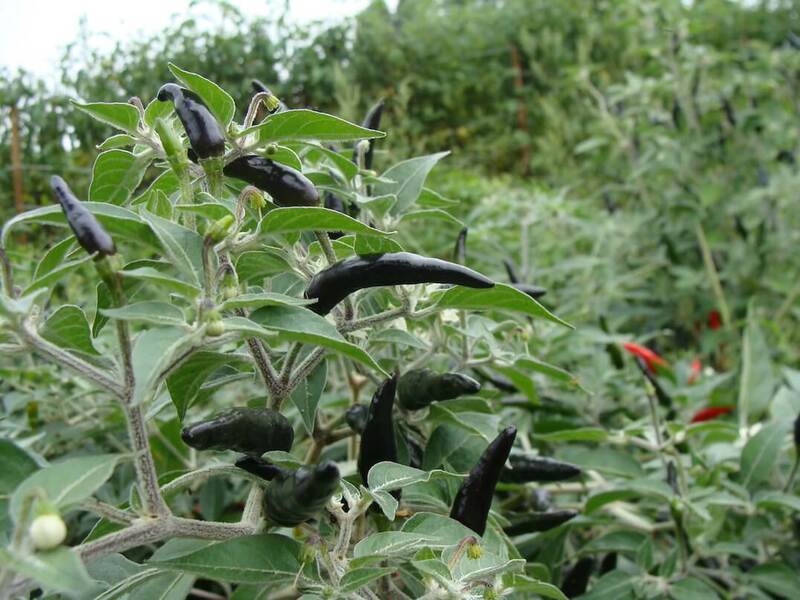 This places the Black Pearl firmly in the medium hot pepper range, about 4 to 12 times hotter than a jalapeño. On the pepper scale, it sits on par with the serrano pepper or, at its hottest, its akin to the mildest cayenne or tabasco chilies that you’ll find. The heat itself is a slow burn. With some chilies, the heat hits fast. Not with the Black Pearl. It creeps up on you, similar to the much hotter ghost pepper in that way. The initial bite provides a mild citrus-like taste, but that’s followed up within a minute with a building spiciness. The heat tops off within a few minutes and slowly begins to dissipate. Where can you find Black Pearl pepper? Likely you’ll need to grow them yourself. 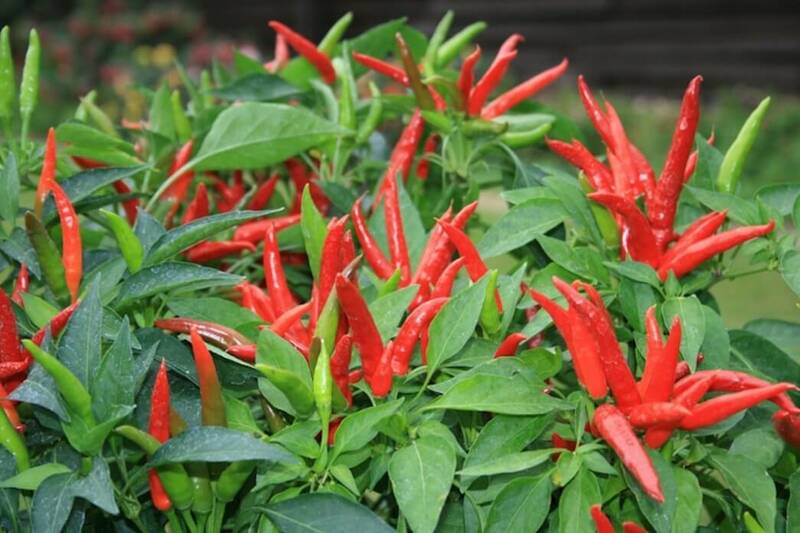 You won’t find a jar of these ornamental chilies at your local grocer. But your local gardening store may very well have these plants available for garden landscaping. 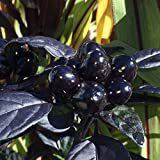 Black Pearl pepper seeds can also be bought there and online (see them on Amazon). 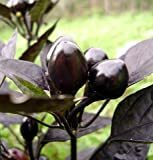 So if you’re into landscaping with beautiful and unique plants, or you love chilies that are off the beaten path of the pepper scale, this is one plant that you should get to know. The heat is significant compared to a jalapeño, but still nowhere neat the typical cayenne. Most of the family can enjoy it, and the look of these peppers is sure to draw some wows. Can You Eat Ornamental Peppers? found these two years ago and have grown and overwintered them ever since. beautiful. You are right, I can agree with every single word. Get 15% off our spices + spicy recipes in your inbox! Does Hot Sauce Go Bad? Like grapes grown for wine, hot peppers are incredibly complex. PepperScale helps you discover the amazing tastes - and stories - behind these spicy eats.